As the first Magento theme release for the year 2014, JM iTech is a dedicated responsive Magento theme built for digital and electronic stores. The theme will create an excellent online shopping experience for your store with trendiness and great UI application in the front end along with stable responsive settings, theme customizing tools and much more. The theme supports responsive layout with off-canvas menu for mobile devices, Megamenu, cool accordion effect and theme customization tool. Dear Magento geeks, responsive Magento theme JM Bookshop is our very first theme dedicated for online bookstores. 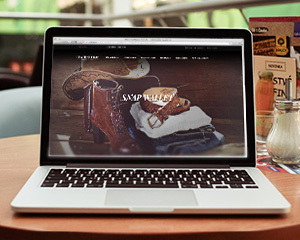 JM Bookshop theme is compatible with both Magento 1.7 and the latest Magento 1.8 version too. At the first glance, our JM Bookshop presents the trending flat design with a professional block layout. To dig out more, the theme is armed with 9 Magento extensions including Mega Menu, JM Basetheme, JM Slideshow 2, JM Masshead, JM Product Slider, JM Tabs, JM Product, JM Quickview and especially JM Product Deal. 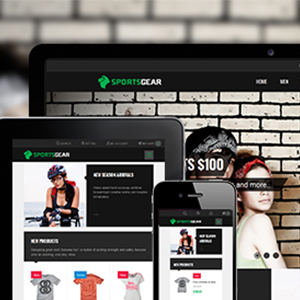 Not to mention this Magento theme is fully responsive and features Off-canvas navigation. Browse through the features of our latest magento theme JM Bookshopand you would want to launch a bookstore of your own. Note : Responsive Magento theme JM Gamestore is now Magento 1.8 compatible! This October, our responsive Magento theme JM Gamestore is a big hit. Designed in a dark tone of color, with bold typography and cutting-edge blocks, JM Gamestore is dedicated for online games e-stores. 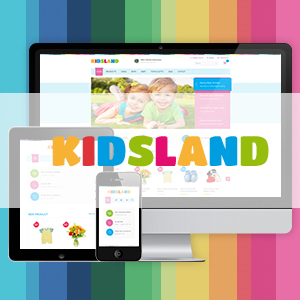 The theme is packed with Mega Menu, Off-canvas layout, responsive design and many more handy Magento extensions. What make it so special? Firstly, this Magento theme features a complete Halloween skin which promises to rock your site on this Halloween event. Secondly, the theme holds a variety of our innovative style and design in which we apply for the first time in this theme JM Gamestore. Let’s get a closer look at this big fist theme of the year! 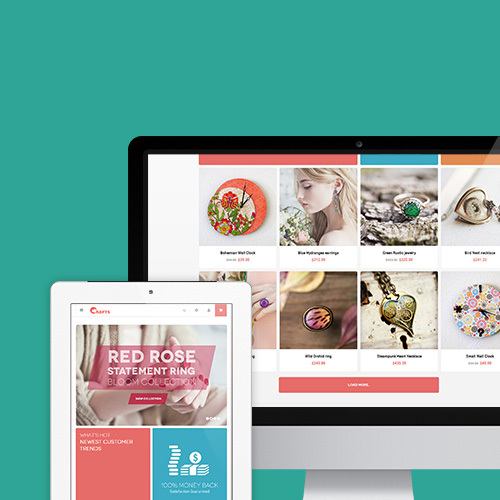 Note : Responsive Magento theme JM Monsieur is now Magento 1.8 compatible! Our September responsive Magento theme JM Monsieur reflects the he-man points: decisive and frank. To express the masculine feeling, we use lots of white space with black lines and blocks. Classy yet dusty, resourceful yet straightforward, JM Monsieur is surely a great choice for anyone who is in search for a responsive Magento theme to win gentlemen's attention. Our August responsive Magento theme JM Crafts is full with the romance of autumn, a perfect fit for any handmade accessories of crafts shop. 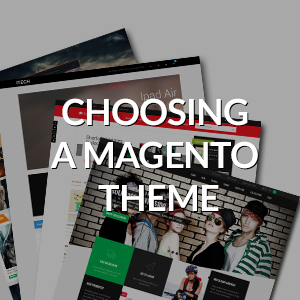 This must be the perfect Magento theme for those who wish to impress their shoppers with the artistic and vivid feeling! Technically, JM Crafts is fully armed with Magento extensions. 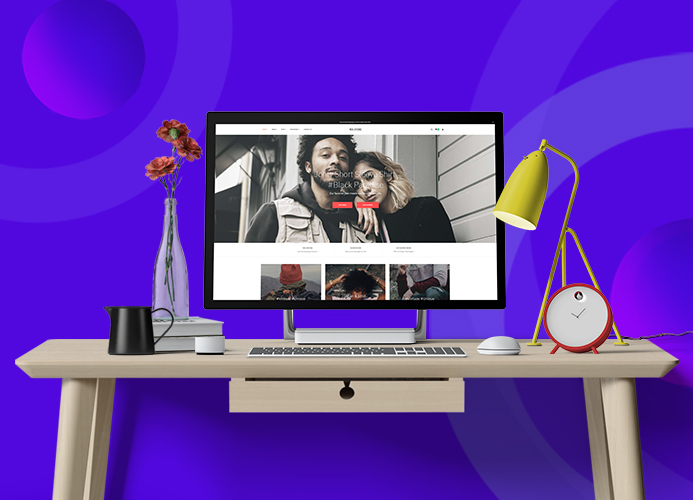 Here comes the list: JM Slideshow for homepage product slideshow, JM Basetheme for smoother color customization, eye-catching category header including titles and graphics with JM Masshead and not to forget JM QuickView to serve the viewers at most convenience! Along that JM Crafts presents refreshing ideas for every traditional module. Note : Responsive Magento theme JM Hawkstore is now Magento 1.8 compatible! 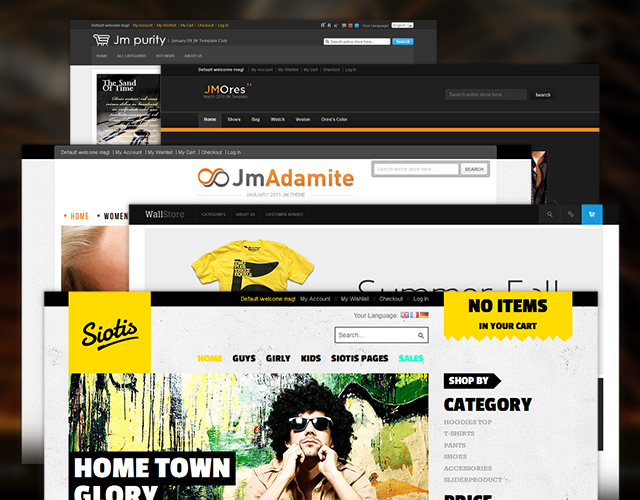 JM Hawkstore is one of our first Magento responsive themes inspiring by Street Life style. To blow the hip-hop feel, we use big flat typo with colorful blocks to make sure that your Magento store will stand apart among others. Don’t let JM Hawkstore look fix your prejudice: JM Hawkstore works with fruitful product ranges out of skateboards and sport stuff, along with fabulous impression, JM Hawkstore is armed with a wide range of powerful Magento extensions. Now let us give you a quick glance on JM Hawkstore’s features!